The 1725 edition of An Account of Several Workhouses... mentions the existence of a parish workhouse in "Wittlesea". A parliamentary report of 1776-7 lists a parish workhouse in operation in Whittlesey with accommodation for up to 90 inmates. The twenty-strong Board of Guardians of "St Mary and St Andrew, Whittlesea" was formed on 29th September 1836. The population falling within the union at the 1831 census had been 6,019 and the average annual poor-rate expenditure for the period 1834-36 had been £4,010 or 13s.4d. per head. Initially, the Whittlesey union made use of an existing parish workhouse on Broad Street. In 1875, a new union workhouse designed by Frederick Peck was built at the north side of Eastrea Road, to the east of Whittlesey. Its layout can be seen on the 1920s map below, by which time the workhouse had become officially known as Whittlesey Poor Law Institution. Whittlesey workhouse was based on a corridor-plan design with a massive three-storey front block having a central corridor running along its length, with rooms off to the front and back of the building. 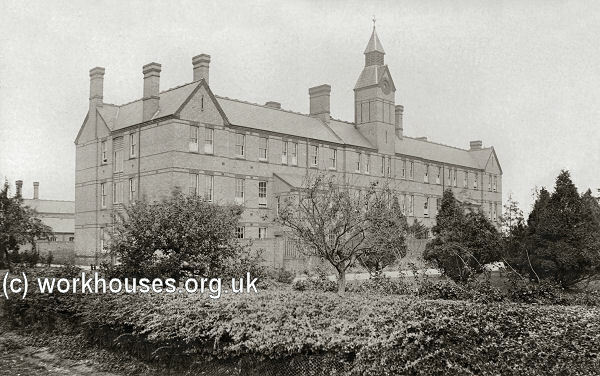 The workhouse buildings were demolished in the 1930s. The Sir Harry Smith college now stands on the site. Cambridge Archives and Local Studies, Box SH 1009, Shire Hall, Castle Hill, Cambridge CB3 0AP. Holdings include: Admissions and discharges (1913-33); Guardians' minutes (1911-33); etc.